One thing about island life is that I no longer have my finger on the pulse of the dining scene in Boston. And so I took full advantage when my dear friend Abby was in town for Wine Festival. I told her I was escaping the madness of Figawi weekend and heading to my old/new city for the long weekend. When I said, where should I eat, without hesitation, she said “Row 34“. So of course I raced home and took to my trusty computer for a little research. 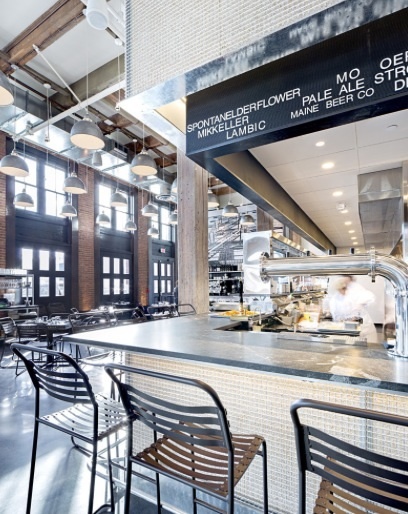 I was thrilled to see that Row 34, which opened last November in Fort Point (one of the coolest neighborhoods in the city, in my humble opinion), is the latest collaboration from the Island Creek Oyster Bar team: Skip Bennett and Shore Gregory, restaurateur Garrett Harker, and chef Jeremy Sewall. For my frequent readers, you know Island Creek is one of my all-stars. Their vision was to make Row 34 a working man’s oyster bar. And the name, a kind of oyster raised at the Island Creek Farm. I like it already. I wasn’t the only one looking for a reservation for Saturday night… the only openings were 9:00 pm and 10:15 pm. Boston is the new New York! When we arrived at 9 pm, the restaurant was abuzz. The bar packed and the open kitchen and oyster bar instantly caught my eye. While Row 34 is known for their beer program, I opted for a glass of rose… the Gobelsburger Cistercien to be exact. Delicious. Now onto the important stuff… what did we eat. We started with a sampling of oysters (the Chatham’s were my favorite) and then moved onto bluefish pate with toast, white wine mussels in scallion butter, striped bass ceviche and the highlight of the meal… the lettuce cups with a crispy oyster and pickled vegetables. Our waitress was a doll and was attentive but not overly so. And she made our meal by sending over the butterscotch pudding, which I must admit I was a bit hesitant to try as I’m not a butterscotch fan but it was simply divine. Row 34 has certainly joined my all-star list. Thanks, Abby for the wonderful recommendation! Friends… once again I apologize for my silence as of late. Last week was my last day at Nantucket Looms so as you can imagine my days had been a bit hectic making sure all the loose ends and little tidbits of information I acquired over the past 18 months were passed along. As with all transitions, I’ve been doing quite a bit of reflection of what I’m looking for in my next move. And while this summer I will be keeping busy in the catering kitchen, I’m excited for my upcoming move back to Boston. 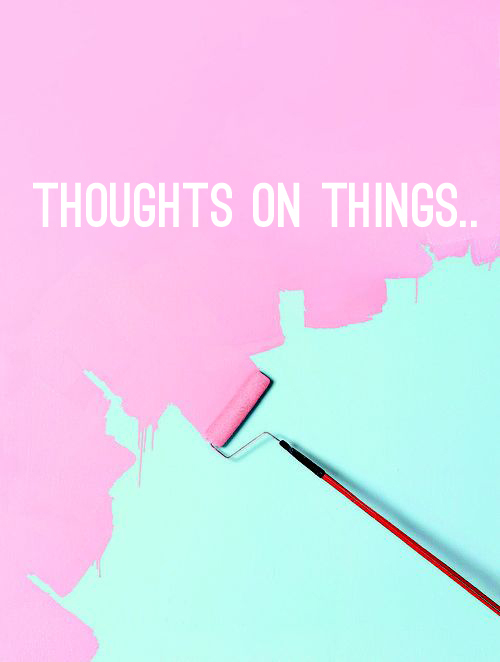 Finding an apartment, reconnecting with old friends, checking off all those things I never got around to the first time around (list forthcoming)… starting new. I’ve been out of college for 13 years now, have worked at 6 different companies (4 law firms and 2 small island businesses), and have collected a few pieces of wisdom. As I begin to think about what’s next, I hope these will help guide me to that “near perfect” opportunity. I have worked with some fantastic people along the way. My colleagues at Nixon Peabody and WilmerHale are still some of my closet friends. And at the Looms, I had the privilege to work side by side with the two ladies pictured above. Stephanie and Becky. 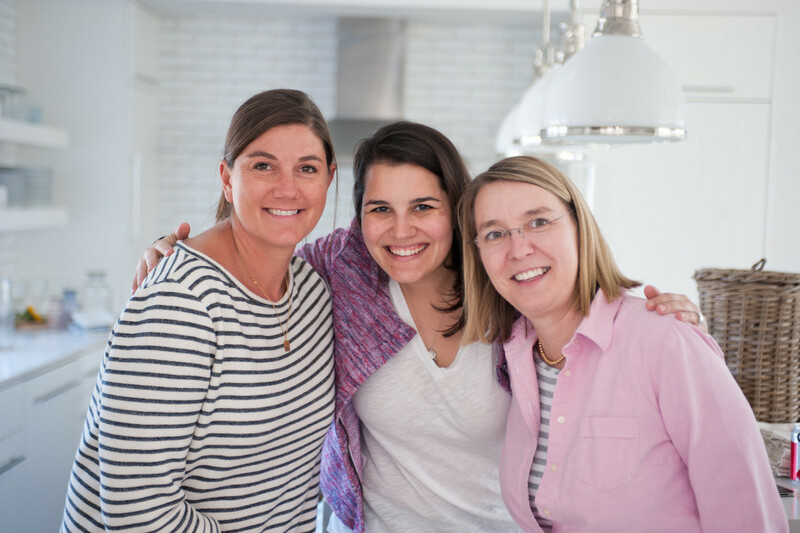 Creative souls, amazing moms and business women who are carrying on the tradition of Nantucket Looms. Work is certainly work but to collaborate with those you respect, care for, can laugh with and generally like… that’s the key. 2. Work to live, not live to work. The COO at Nixon Peabody use to always say this at our annual retreats. Of course we are employed to fulfill a certain set of tasks and job functions. But we have to work in-order to indulge and enjoy the things we enjoy in life. While I have loved every minute living on this little island, I have realized that the ability to do my weekend road-trips and impromptu travel is difficult. And for me, the ability to pick up and go is a must. The world lost an amazing voice today: Maya Angelou, who I believe said it best. “Success is liking yourself, liking what you do, and liking how you do it.” Liking and believing in oneself has always been a struggle for me. Part of the reason I returned home was to heal and work on that piece. And today, I can confidently say, “I like myself.” And so the rest will hopefully follow. I like to do so many different things. I want to be creative but analytical. I want to write. I want to present. I want to tackle a project head on. And I want to work for a company I believe in. That has vision. That is a member of the community and believes that comes with some responsibilities. Hopefully when these things align, I will find success. So here begins my search for what’s next. Endings are always hard but they lead to beautiful new beginnings. Beyond excited for this next chapter! When it comes to kitchen essentials, I don’t have a very lengthy list: a great skillet, a dutch oven, Emile Henry baking dishes, and my kitchen aid. I still remember the Christmas I opened my pistachio mixer. My reaction was almost as good as when I got a Nintendo the Christmas I was 9. I literally freaked out and was on top of the world for days. One item that I have been on the hunt for as of late is a great pairing knife. I purchased this chef’s knife last summer but it’s just a bit too big for julienning my produce. Last week while perusing the new arrivals over at Provisions at Food52, I came across this beauty. 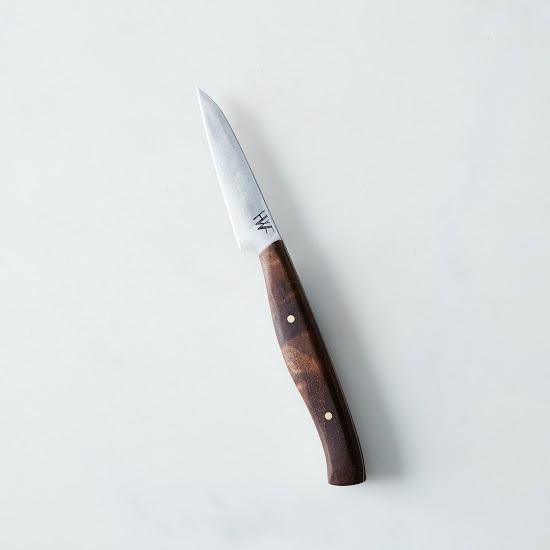 The wood will compliment my chef’s knife and has a lovely story too: the manufacturer uses reclaimed metal from the bandsaw blades of local Georgia lumber mills to forge the blade, and reclaimed walnut wood from Florida to shape the curved handle. Think I will use the tip money from my first catering gig to add this to my kitchen. Friends… please accept my sincerest apologies for my absence as of late. I was in a bit of a funk last week. You see, Friday was my 35th birthday. That’s right… in 5 years I will be 40. I share a great deal with you on this blog: dreams I have; failures I’ve had along the way; and thoughts on the future. I have no regrets. Only one wish that my sweet brother was here to celebrate these moments with me. But something about turning 35 just set me back a bit. My evenings were filled with worries that I don’t have a child. That I’m divorced. That my savings account has dwindled down to nearly zero after taking these past two years off from corporate life. That I won’t find a job back in the city. Worries. But you know what, so many great things have been happening lately. I have a wonderful group of friends who helped celebrate my birthday with a bang and who I know will be lifelong friends after I leave this little place. My nephews showered me with cards and a cake and sang happy birthday to me (if you follow me on Instagram you will see the artist talents of my nephew Tuck). But the greatest gift of all… I have met someone who has changed my life in ways I never knew were possible. And while I don’t want to jinx anything or share too much, I can tell you that all the heartache was worth it. So I welcome 35 with open arms. And every morning while blow drying my hair, I greet those gray hairs that have finally come to be with open arms! I have always been a huge fan of Fouta turkish towels and have a nice little collection from my trip to Turkey in 2012. Truth be told, I really only use my Foutas for the beach as they aren’t as absorbent as my go-to white terry bath towels. However, while flipping through the new Serena & Lily summer catalog I found (what I hope) are the perfect bath towels. The look of my Foutas with a terry back. A match made in heaven! Now, which color to get? My namesake month is here! 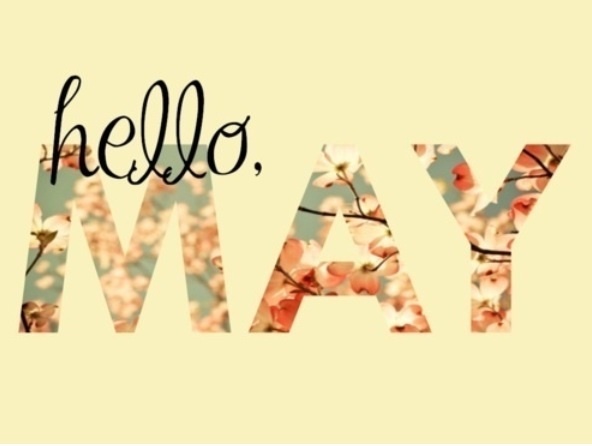 I am overjoyed and oh so happy to say hello to May and again goodbye to winter, although the weather as of late has me wondering if spring really is here. I’m excited (and a bit sad) to share some exciting news with you. As you know, I returned back to island life nearly 24 months ago. I fondly called it “my time-out on life.” After many quiet days (and nights) and endless hours of soul searching, I have peace in my heart to let you know that I will be leaving my little island 30 miles out to sea. But please don’t worry, I won’t be leaving before summer. I mean, who leaves Nantucket before summer, right? With this revelation, though, I have decided to return to managing an island catering company full-time. While I have loved nearly every minute of my time at Nantucket Looms and all the creative endeavors I have been a part of, I need to work my little tail off this summer to put away some hard-earned cash for this next chapter. Where will it be? I’m not sure just yet but as soon as I decide, I will let you know. And as Edwin Way Teale so beautifully reminds us in the quote above, anything is possible in May. – I am off to Fryeburg, Maine and Hardy Farm this weekend to be celebrate the marriage of one of my nearest and dearest. – Next Friday I will awake to my 35th year. More on that later. – The weekend of May 15 is the 18th Annual Nantucket Wine Festival. A few Boston friends will be visiting so very much looking forward to yummy dinners and delicious wine, of course. – The official start to summer is Memorial Day weekend (and the my last day at Nantucket Looms). I’m hoping to do a little weekend getaway for the thought of waiting in-line to dance at The Box with those Figawi sailors… no thank you! – And I will end the month with a concert on the Boston waterfront with the one and only Ray Lamontagne (and two of the greatest friends a girl could as for). Can’t wait!